We belong to a culture that believes in the family structure, where each one has a set role to play. These roles are highly demanding and each person puts in a lot of effort to meet the high-end demands. Given the culture we hail from, every new addition to the family unit is by default expected to be performing their roles in a set pattern. However, what happens when any one of our family member’s fail to fit these so called set roles? Yes, you guessed it right… there is turmoil and conflict and the so called happy family starts getting fragmented. We try our best, we talk to our friends, colleagues, and our well-wishers but still things don’t work-out. Have you ever wondered why? The reason is pretty simple yet complicated to practice. We as humans love short cuts and it is for the love of these short cuts that man could invent so many gadgets and machines to make life fast and easy. Unfortunately, we also condition our brain to think in short cuts. These mental short cuts (heuristics) have become leading cause of misunderstandings and conflicts among individuals. How then do we deal with it? Remember each one is born different. If you expect that being of one blood means that you ought to be the same in itself is a faulty expectation. 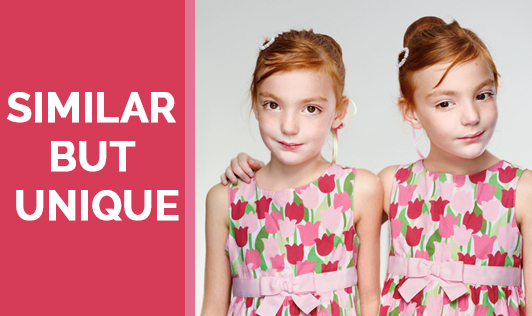 Even identical twins are different in many ways. Respect every individual whatever his/her age be. We raise our children telling them that ‘elders should be respected’. This can be dangerous because we as adults take children for granted and label them, yell at them, and force them to do things without remembering that they too are individuals. If each one of us respects the other, our children will model it too, thus lessening the scope for conflicts. Share household chores and break gender roles associated to it. If each one shares the workload at home, everyone not only gets time to spend together but also enjoys working in each other’s company. Before you form an opinion about someone, think how would you think, feel, and act if you were in that person’s place. Accept what the person is sharing rather than passing judgments. Wherever there are people living together as a unit, there will be disagreements. View these as only a difference of opinions and not as real battles. Before rejecting the point of view, listen without making assumptions. Try to resolve these differences by using the win-win approach. Maintain transparency in relationships rather than piling up the misunderstandings in your head and letting them aggravate and create friction in the relationship. Lastly, remember that once you start practicing these, don’t expect a change overnight. Be consistent and patient for the transformation to take place. Most important of all if you think you need help, do not hesitate in talking to your counselor. You can approach the counselor for guidance in parenting, taking care of the elderly, dealing with terminal illness in the family, pre-marriage counseling, conflicts among sibling, divorce, and many other family-related issues.